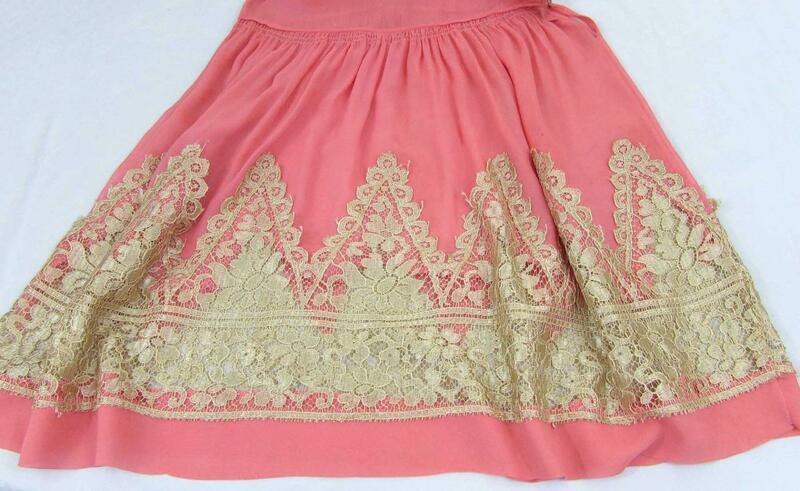 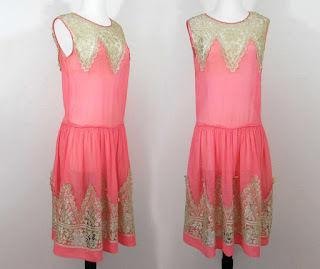 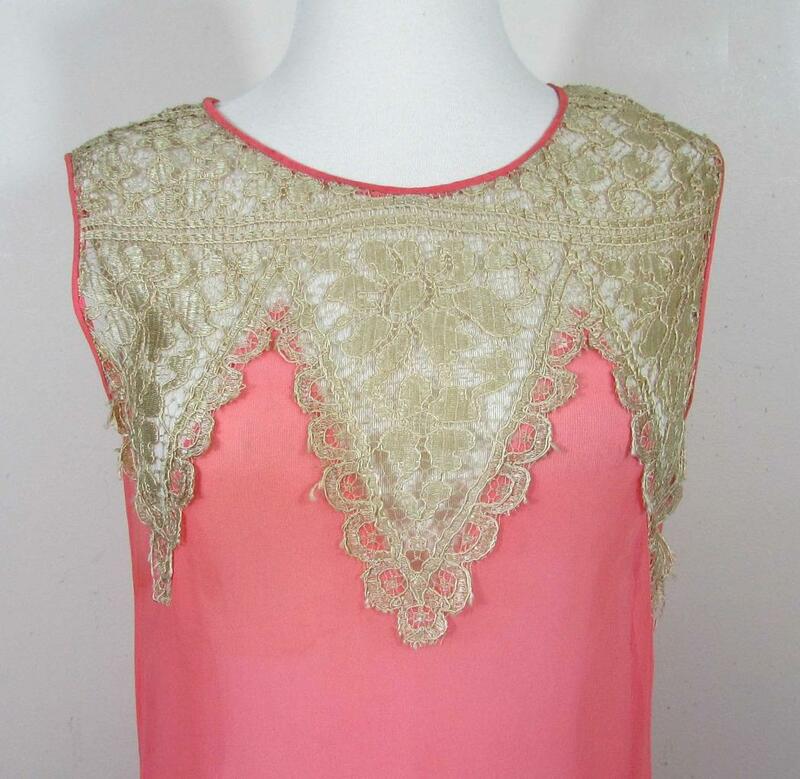 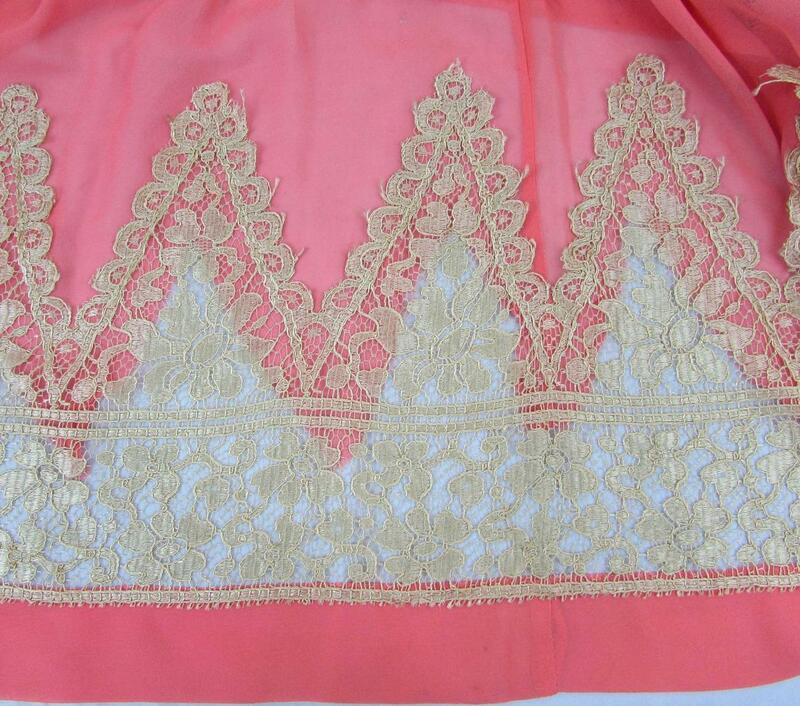 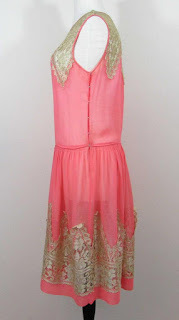 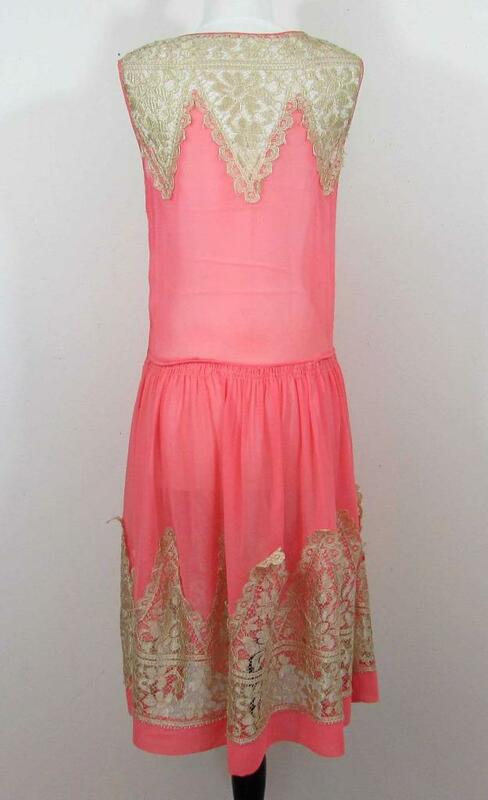 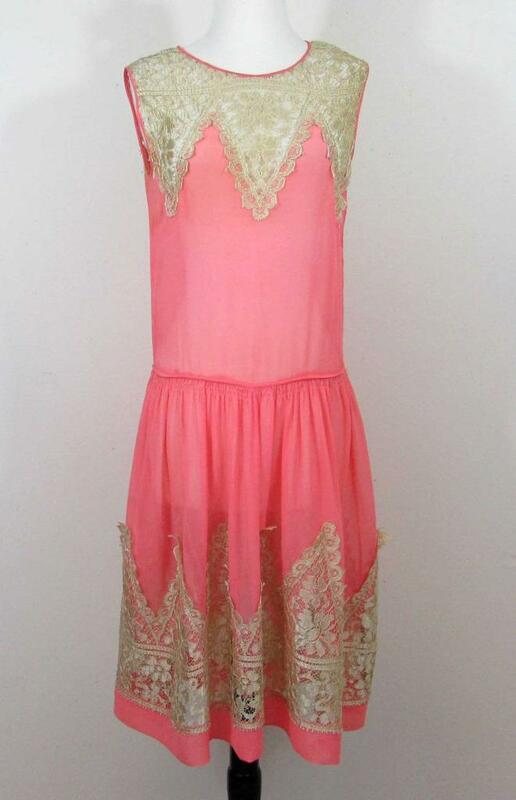 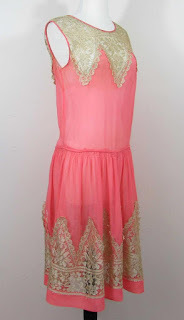 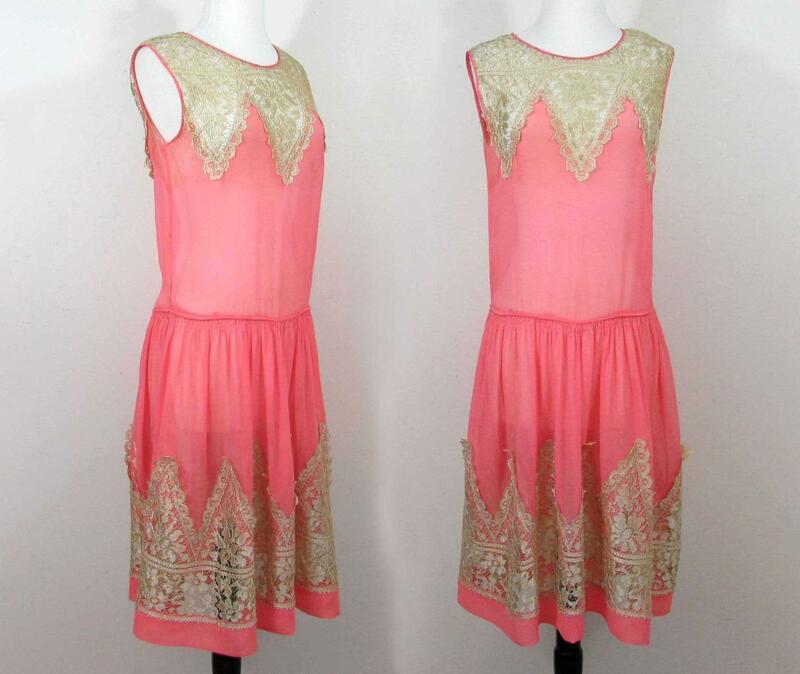 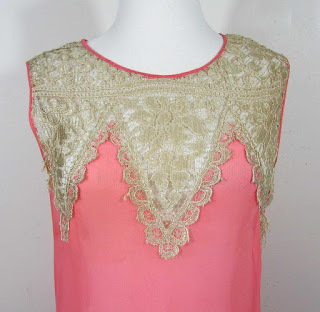 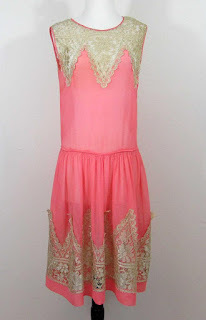 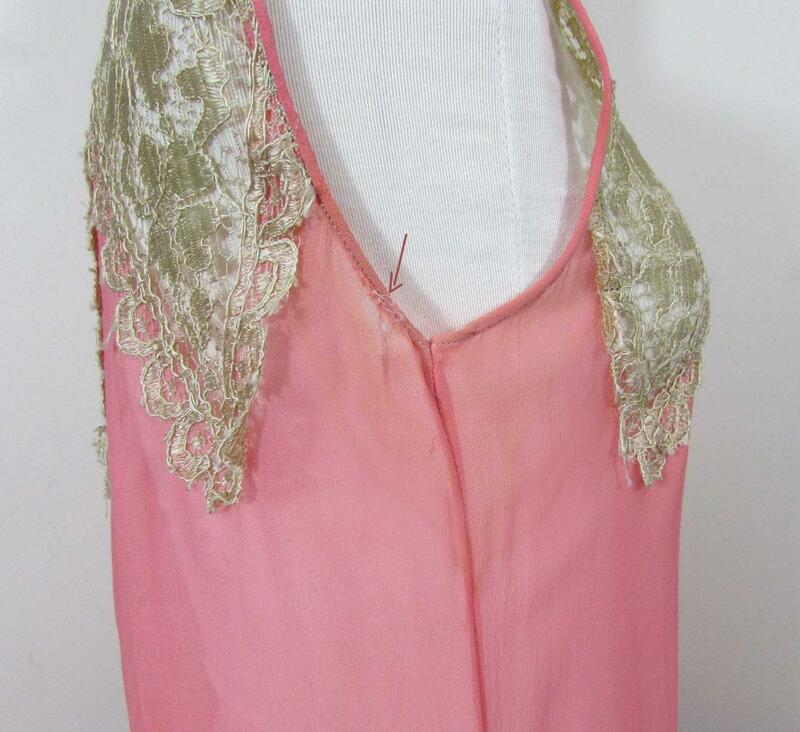 1920s Coral Silk Chiffon Dress with exquisite tan lace inserts. 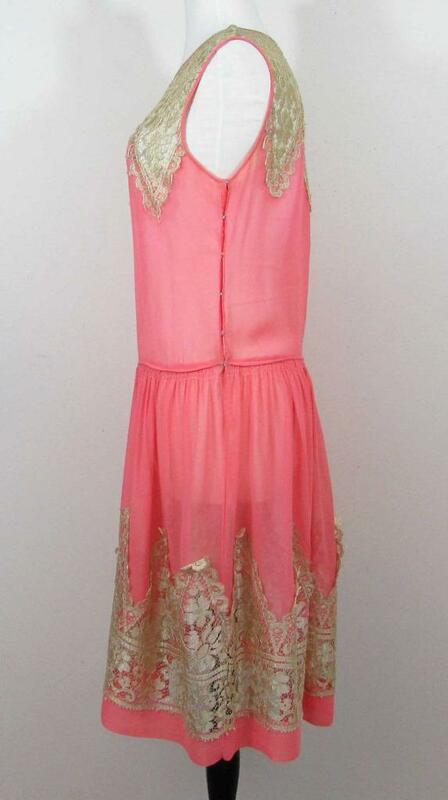 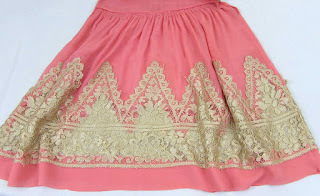 The sleeveless dress has drop waist and full gathered skirt. 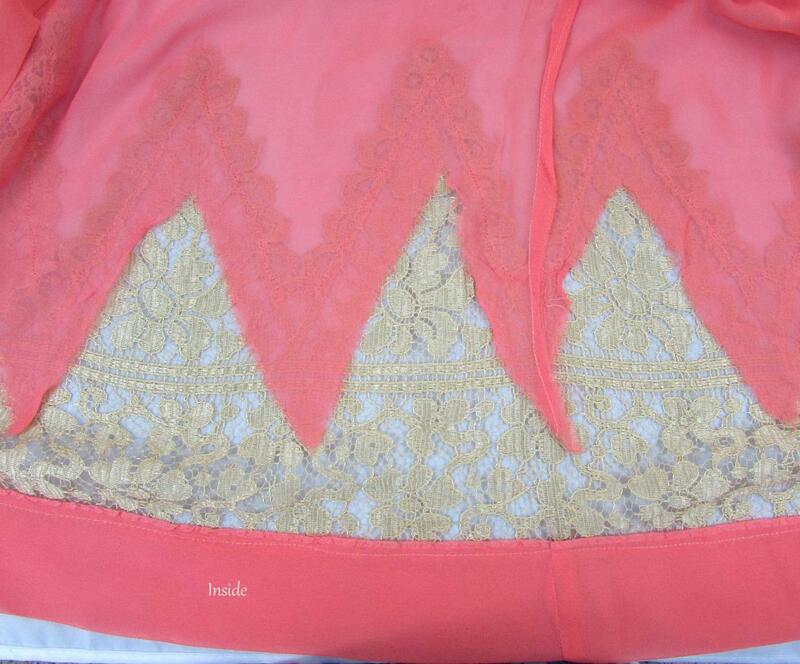 Dress has pull over the head styling. Bust measured underarm to underarm - 34"
Drop Waist (10.5" down from underarm) - 33"
Length shoulder seam to bottom hem - 41"
Notice the snaps under the arm - not all 1920's dresses were meant to simply go over the head.